Used Chevy Bus For Sale?? 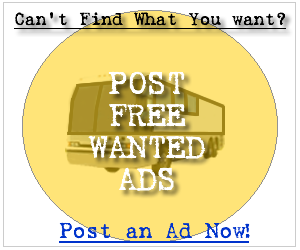 --> Sell Chevy Buses Here! Whether you are in the market for a new Chevy bus or a used Chevy bus you can be sure to find a service at your fingertips to get the job done. 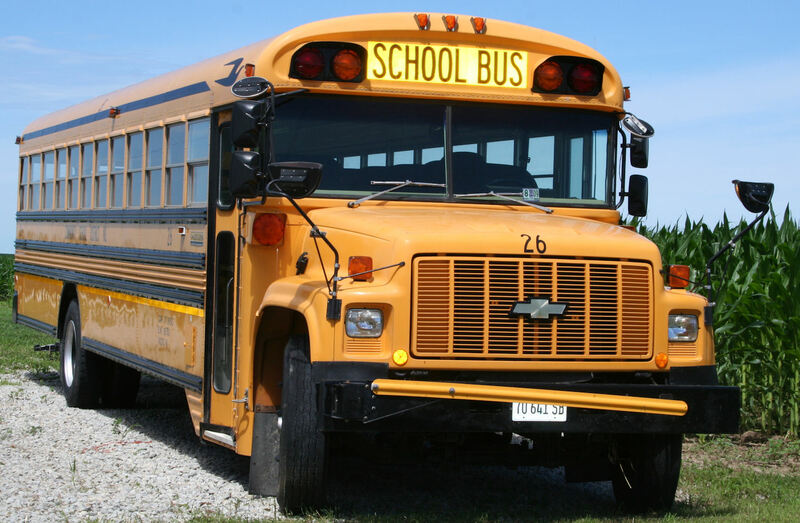 Below you can find the first 100 Chevy bus for sale ads listed in our system, sign up and contact the seller of any of the following new or used Chevy buses. It's Free! 30-32 passenger, 138,168 miles, air conditioned, good tires. All systems are functional and work well. Bus used to transport children to and from school. Bus is in excellent condition. 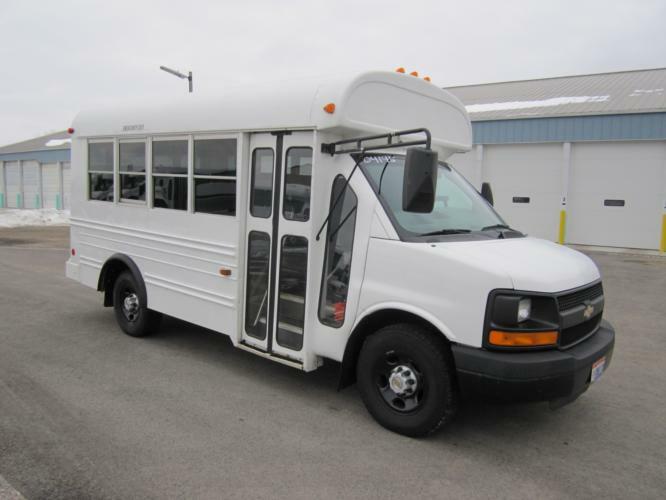 995 Chevy 25 passenger Shuttle Bus for sale. Runs great. Purchased five years ago from a hotel to pick-up/drop off church members and to do community outreaches but rarely drove it. Bus was parked for two years. Recently started it, changed the oil, checked fluids, etc. Runs GREAT! Has 126k. Gasoline engine. Bus does have some rust spots. If you are interested in a great runnng shuttle bus, this is the one for you. Please contact 703-589-6089 if you are interested in taking a look at the bus or for pictures. Bus in great shape, about 75K miles. All maintainence and repairs have been made. Please contact me for any more info/pictures you\'d like. This is a 1994 71 pass.Chevy Bluebird School Bus. It has approximately 88,000 miles. It has gas engine with an automatic allison trans. The tread is approximately 50%. It has newer exhaust, and a rebuilt engine. All lights and signals are currently in working order. You are viewing a 2002 Red Chevy Mid Bus with only 54k miles! Perfect for child care and daycare facilities, church,swap meet, business promotion. Please call 213-200-6825 with any questions. Worth over $16,000 selling for $12,500 or best offer. 1988 Chevy School Bus, Thomas body, 64 passenger, 8.2 L diesel engine with only 81000 original miles. New batteries, only 1000 miles on new tires and brakes. Great bus, no leaks or drips. Runs excellant, everything works, air brakes, lights, stop sign etc. Passenger seats have been removed and is ready for your customization. NO CDL required to drive. MOVING MUST SELL. Asking $3300.00 but open to offers. Phone Rich at 352-228-9447 or email staverns@tampabay.rr.com for photos and details. 1988 Chevy School bus, Diesel 8.2 L engine. 81000 original miles, new batteries, brakes and newer tires. No leaks, drips or problems. Runs great, auto transmission, air brakes, no CDL required. 65 passenger. Passenger seats have been removed, ready for your customization. Moving and must find a new home for the bus. Asking $3300.00 but open to offers. Please phone Rich or email staverns@tampabay.rr.com for deatils and pictures. You are viewing a 2003 Mid Bus with only 33k miles! This vehicle is ideal for child care and daycare facilities. It abides by all federal regulations for child care and activity buses. This is the vehicle replacing the 15 passenger vans. The vehicle will be fully serviced (brakes, fluids, tires, A/C, engine, belts, hoses, etc.). Please call 419-720-7435 with any questions. 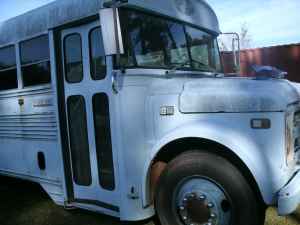 this is a 1990 School Bus we have Started Conversien it Already it has all the Electlicity and two Small Bed rooms Like one Bed at the Back and a Bunk bed also Room to it Self with Doors it has Carpet in the Bunk Bed Area it has Linoleum from front to back very nice it has Kitchen Area with Cabinets Computer Area,Bath Tub Area Ready for a Full size Tub, Has a Toliet Area ready for a toliet to be Added this is a very Nice Bus Runs Great Great Tires,it stillneeds Plumbing we have been working very hard to get this RV Bus together as our Plans was to live in it Husband got Layed off now Well we must sell this Wonderful Bus as you all know a School Bus is made out of Steel!! and that alone is worth a Lot and once you have one its also a home Payed for that know one can take away :)well OK you can sure call us at 918-774-3291 or 918- 427-3201 #122 Leave message Please we will get back to you we need 3,000 Firm its well worth it ! runs good,rough paint/white gutted inside ready for conversion. 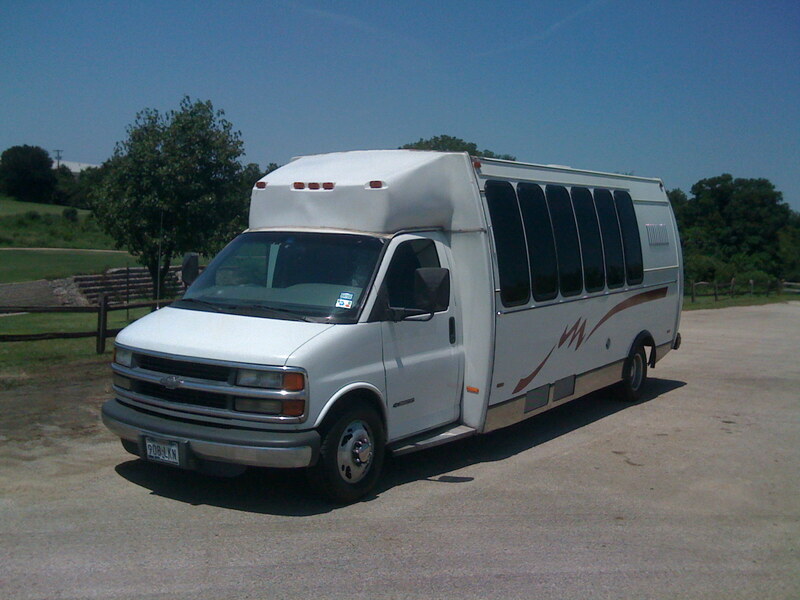 This is a 1 Ton 14 passenger Chevy Diesel Shuttle bus. These vans are used at airports, and so they are well taken care of with regular maintenance. The bus is in very good mechanical condition, and it runs and drives great!